It isn't a flagship smartphone, yet the design makes it one. Breaking free from the trademark Samsung design, which makes all Galaxy smartphones look alike, the Alpha does have a premium look and feel. It is the best looking Galaxy smartphone till date. The design isn't revolutionary and seems to be a combination of the iPhone 5s and the Galaxy SII. The Alpha has a metallic rim with a plastic back. 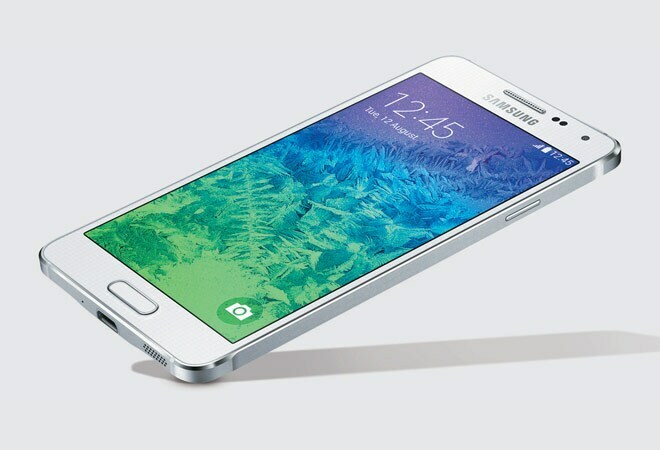 Instead of a massive 5-inch-plus display, it has a 4.7-inch super AMOLED display with 1280x720 pixel resolution. It is thin and weighs only 115 grams. Its look may have changed, but the innards remain the same. It has the same proprietary user interface, apps such as S Voice, heart rate sensor, among others, and the Exynos 5 octa-core chipset. I personally don't like the TouchWiz UI. You can get rid of the UI by installing Nova launcher, which is identical to the stock Android. Running on Android KitKat, the Alpha has a 1.3 GHz quad-core+1.8 GHz quad-core processor, and is paired with 2 GB of RAM and 32 GB onboard storage. This isn't bad, but almost all the other high-end smartphones run on the latest Qualcomm chipsets, including the new Moto X, which is priced lower than the Alpha. While this doesn't affect the basic functionality, it does make a difference while handing heavy graphic apps and games. With the software consuming over 6.12 GB of storage, 24.97 GB is user accessible and non-expandable. The Alpha also has a finger print scanner. The 12 MP camera does a good job. There are a plenty of settings to play around with and the images captured are full of details. While there is no dedicated camera key, the camera app can be accessed from the lock screen itself. There are various modes onboard, including HDR, Dual, Beauty Face and Panorama. Last, on a single charge, the 1,860 mAh battery lasted me over a day. There is an ultra power saving mode too that increases the battery by enabling the grayscale mode and restricting app usage to only essential apps, among other things. Under this mode, the estimated standby time was 5.5 days.